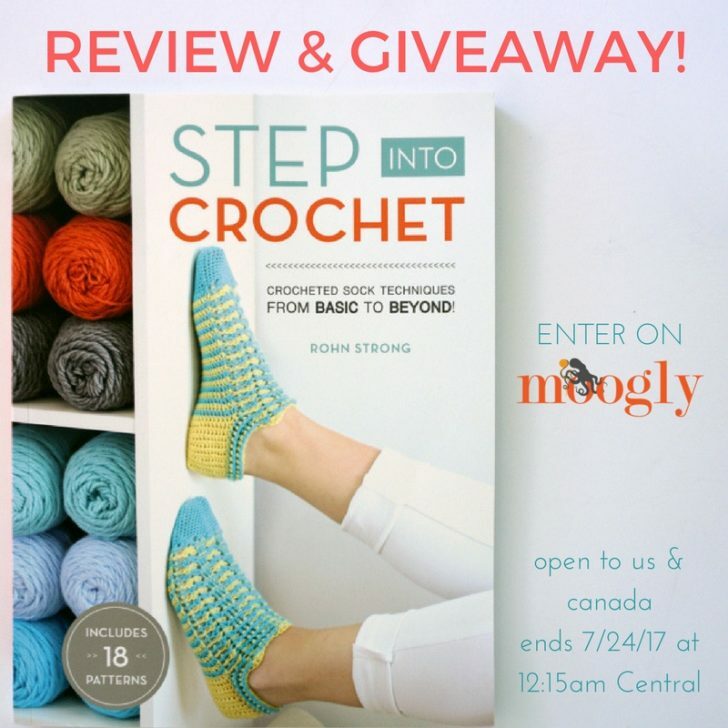 Step Into Crochet by Rohn Strong: Review & Giveaway! Step Into Crochet: Crocheted Sock Techniques from Basic to Beyond by Rohn Strong is a new book from Interweave publishing – and today I’ve got a peek inside, and a giveaway too! Disclaimer: This giveaway was provided by Interweave, but all opinions are my own. This post includes affiliate links. 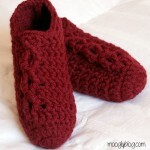 Full disclosure – I’ve never crocheted socks. And alas, I didn’t have the right yarn in stock to try this week… but I feel really confident about beginning now, after reading through this book! Step Into Crochet begins right at the beginning – how to get socks that will fit. Because socks are made with thin yarn, they take time to make (and most of us need two! ), so it’s important to take the time to plan out your sock project. Rohn has included everything! Rohn has included everything! 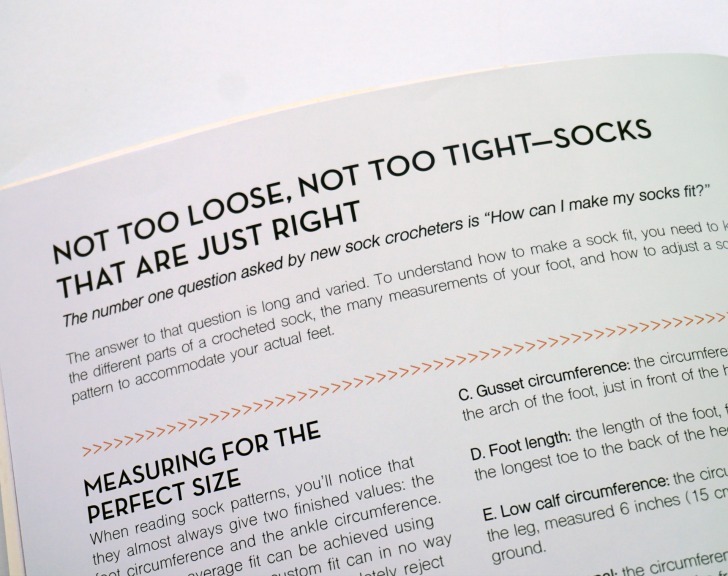 How to measure your feet, how to read sock sizing tables, choosing the right yarn, and more. And he really dives into the topic of sock construction – those simple tube socks don’t hold a candle to what goes into a handmade sock! There’s also a chapter on Heels, Toes, and Cuffs – and all the ways you can make them, adjust them, and create a sock that’s right for you! Very, very in depth. And then, of course, it’s time for the patterns! There are 18 different sock patterns included in Step Into Crochet, divided into 4 chapters of increasing difficulty: Simple Socks (begin here! ), Textured and Cabled Socks, Colorwork Socks, and Lace Socks. The variety is huge and so pretty! As the patterns get more complicated, there are some charts for the patterns, but you do need to be able to read written patterns to make these socks. 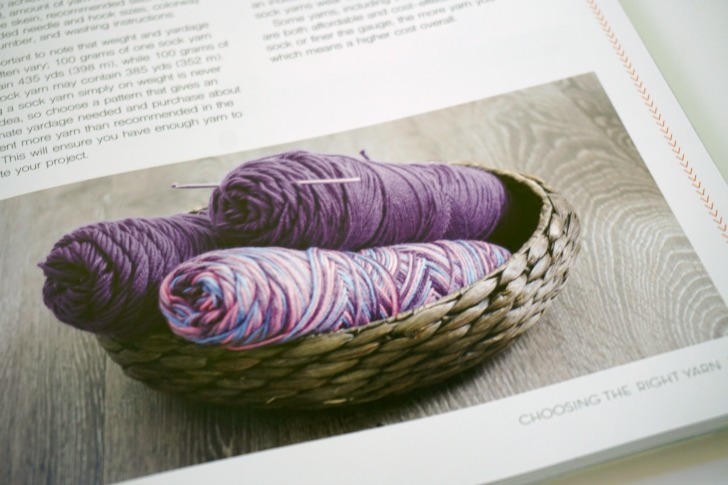 However, in the back of the book you’ll find a handy list of abbreviations, illustrations of the basic crochet stitches, and more fantastic resources for sock making. 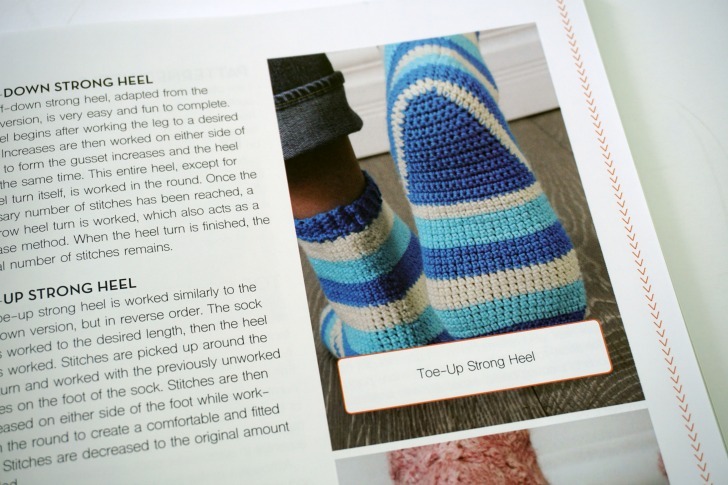 Step Into Crochet is more than a pattern book, it’s a crochet sock handbook – if you are an intermediate level crocheter (or motivated beginner!) 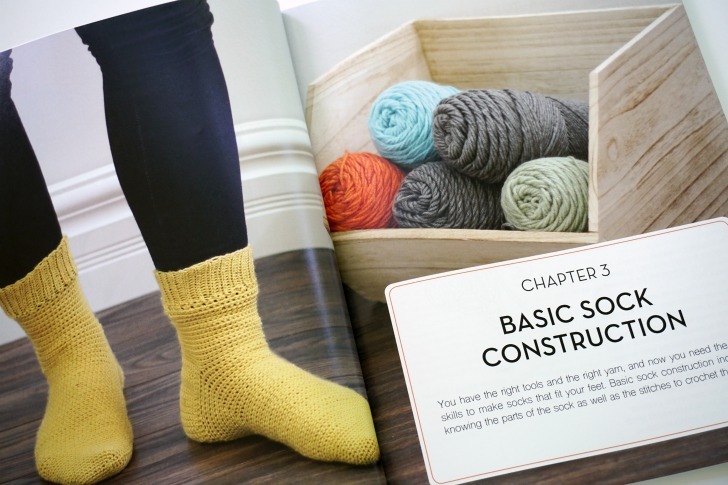 who has never crocheted socks before, then this is definitely the book for you. And if you have crocheted socks before, I think Step Into Crochet will help you make your socks better than ever! Ready to buy? You can purchase Step Into Crochet by Rohn Strong on Amazon US, Amazon CA, Amazon UK, Amazon DE, or request it from your local book seller! But we’re not done yet – I still have one book to giveaway! Enter using the Rafflecopter form below! The Step Into Crochet Giveaway on Moogly is open to US and Canada (void where prohibited) and ends 7/24/17 at 12:15 am Central US time. To enter, use the Rafflecopter form below. If you are on mobile and have difficulty entering, please use a desktop computer to enter. Only the Email option is mandatory – all other tasks are optional, for bonus entries only. Good luck all! Follow Moogly on Facebook, Twitter, G+, Pinterest, Instagram, and Tumblr! Thank you to Interweave for sponsoring this giveaway! I’d love to have this Step into Crochet book, I’ve never really made socks and this would be perfect nice to try. Thank you. I love to crochet (and knit ) socks. I have wide and large feet, so this book would be great, so I can make socks to fit my feet. I like to crochet (and knit) socks . The socks shown in this book look like they would be fun to make and wear. This would be AWESOME to win!!! I keep trying to make socks, but Intend up frustrated.and using the yarn for something else Lol!! I. Would love to show my family I can finish a pair of socks!!!!! If I don’t win I will need to buy the book it looks great!!! Looks like some wonderful patterns. 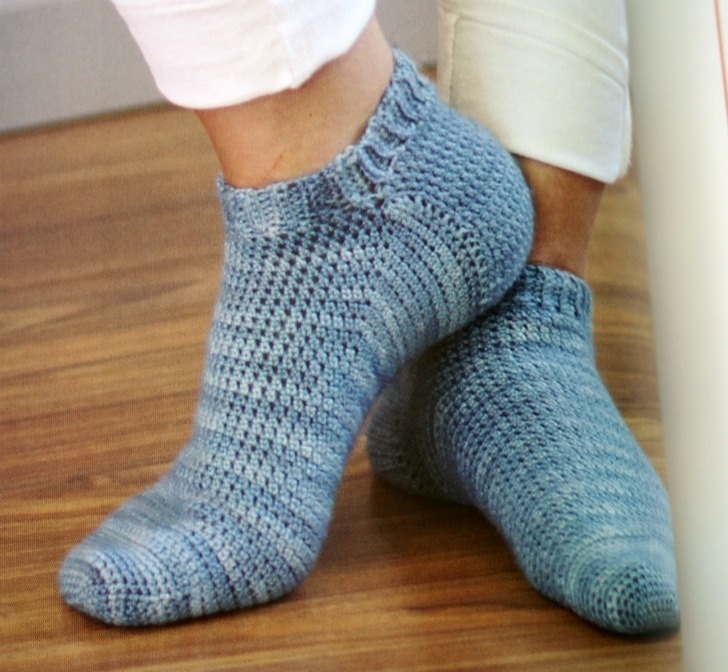 With all the wonderful yarns available, customized socks would be so easy to make. Thanks for the giveaway. Always wanted to try sock!